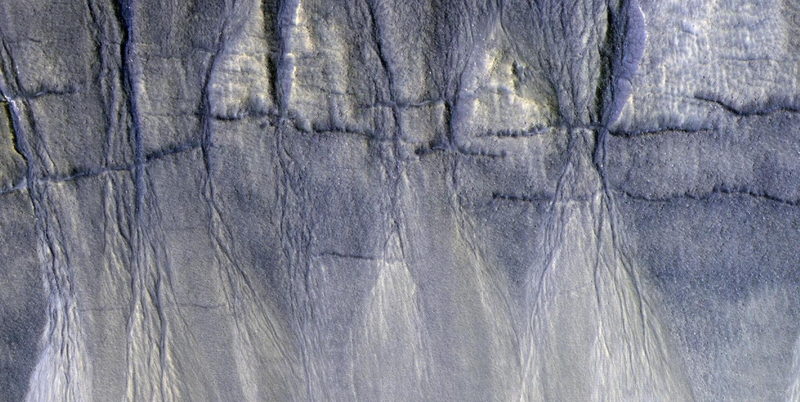 This image shows a dune field in Chasma Boreale, which is a large trough that cuts into the North Polar ice cap. 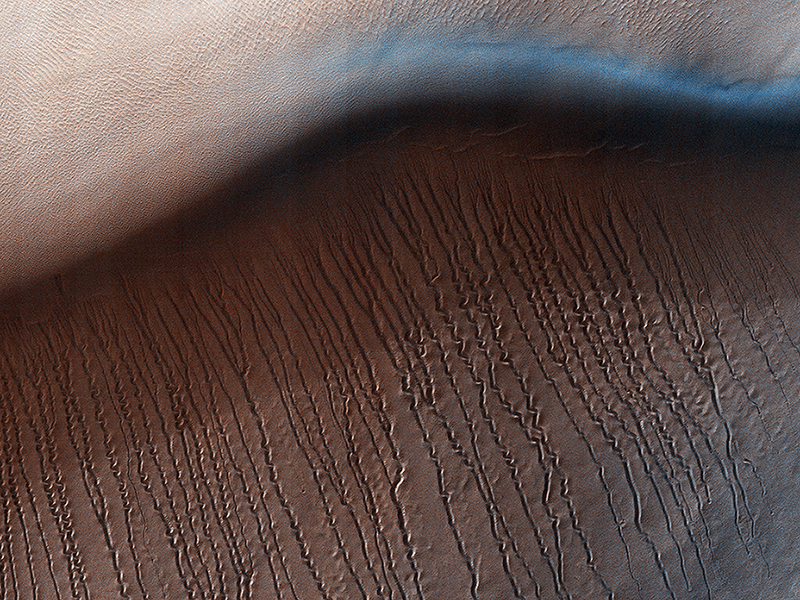 Some of the dunes in this image are quite long and sinuous with a slight bulge at one end like a “head,” giving it the appearance of a snake. 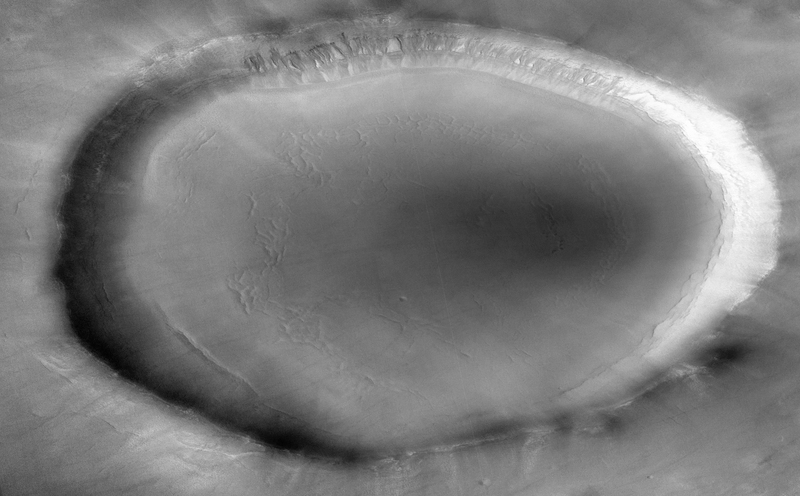 However, most of the dunes visible here are of the type referred to as “barchan,” which are characterized by their crescent shape. 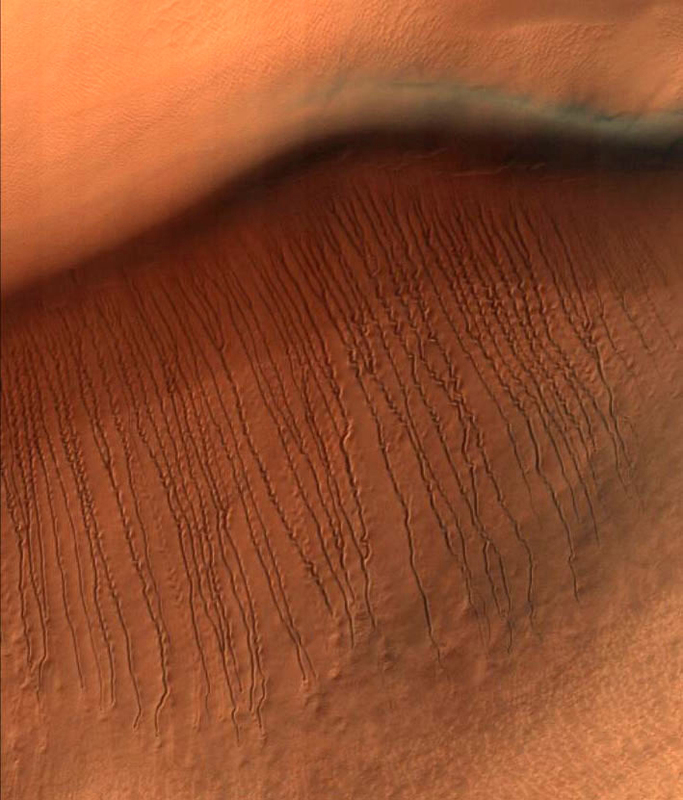 For these types of dunes, the “mouth” of the crescent points in the downwind direction, indicating that the winds are traveling east-west. 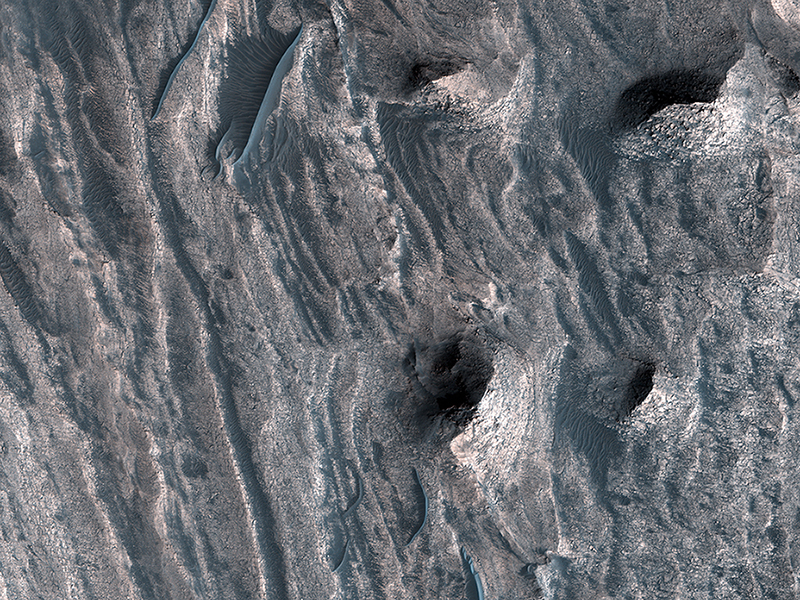 The diverse dune morphologies here suggest that the wind-direction changes over a very small area. Because Mars has a similar axial tilt to Earth, it also experiences seasons. When we took this image, Mars was in late spring. 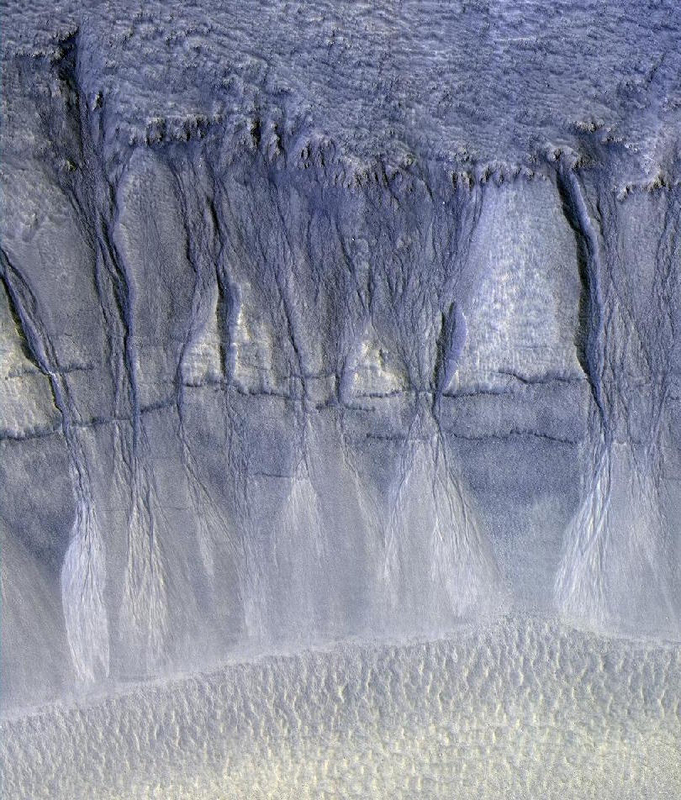 At this time of year, the dunes in this image are almost completely covered by frost. But this will soon change! 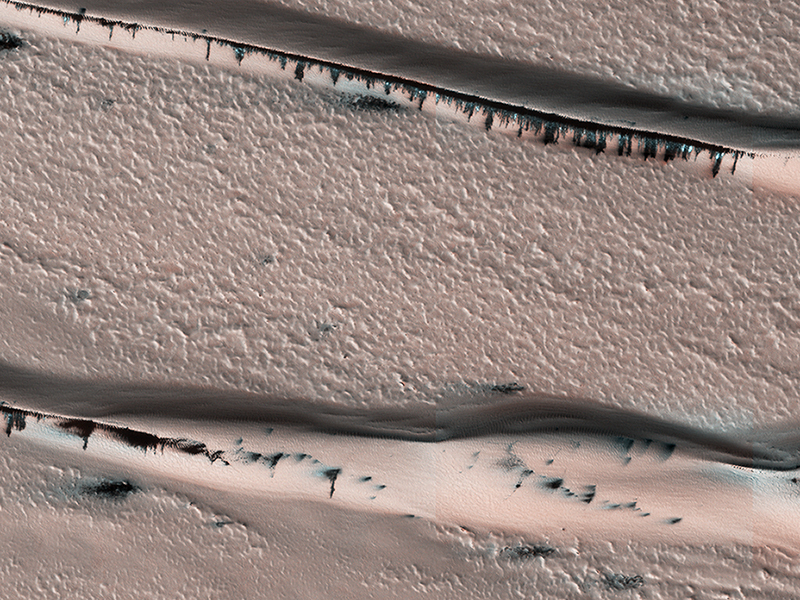 Small portions of the underlying dark basaltic sands of these dunes are becoming increasingly visible with the active removal of their seasonal coating of ice. A look at a series of images demonstrates the the transition from early to late spring, marked by defrosting and the gradual growth of dark spots. By summer, the dunes will be defrosted, and will appear completely black.